We are the most dynamic team with high aspirants to serve clients with comfort through Automation Entrance and Parking Solution. We are the company engaged in automation solution for entrance and parking products. 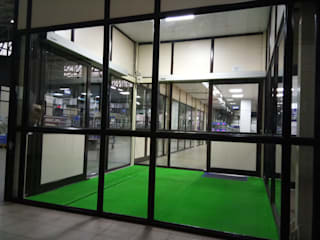 we fabricates the door/gates and parking products and integrates them with highly safe automation products compliant to European Safety Standards ensuring the safety and security of the people and assets all the time in Gujarat, India.